I have always been a bit obsessive over how my hair looks. First there were perms, then came experimentations with different shades of hair dye, followed by highlights and just about anything under the sun, that I thought was worth trying out. Sadly, this has left my hair a bit on the dry, brittle side and when hair starts to migrate to my brush rather than stay put on my head, that's when a real melt down occurs. If you can relate, you know what I am alluring to. So what's a gal to do? Look for natural products that can nourish hair and scalp of course! Since regular over the counter shampoos often have harsh chemicals, I have been researching about the benefits of Argan Oil and wrote extensively about it here . 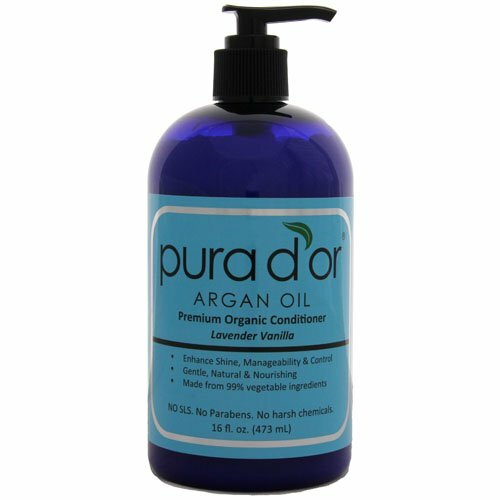 Now, I followed up with Argan Oil conditioner by Pura D'Or, because I could see that the Argan Oil seems to be nourishing my hair. Before applying Argan oil, the scalp needs to be exfoliated to unblock each hair follicle and allow the oil to penetrate deeply and do its job. Use an exfoliating product specifically formulated for the scalp that will unclog each hair follicle by removing the buildup of styling products, environmental pollution and excess sebum (natural oils secreted by glands in the scalp). Follow the manufacturer’s directions for exfoliating scalp, then shampoo and towel dry hair as normal. Place a few drops of Argan oil on fingertips and massage it into scalp using a circular motion. Start at the front hairline and work your way across the head and down each side and back. Continue the oil massage for 15 minutes to help the Argan oil cover and penetrate the entire scalp and to stimulate blood flow to the scalp and hair follicles. Repeat this treatment three times per week to stop the progression of hair loss and help new hair to re-grow. Style hair as normal after treatment. The Argan Oil has made my hair hydrated again and has given it a nice shine. The conditioner makes it easy to comb through my hair and it looks like I am loosing less hair when I brush. The conditioner has more of a mild and pleasant vanilla scent, rather than lavender. The bottle is large and should last for a while. I have thin hair and noticed that it's best to use the conditioner sparingly as not to weigh down my hair too much. People with coarser or thicker hair might do fine with the full recommended amount.